Rotarians are great at raising awareness and taking action for positive change, locally and globally. Our efforts have increasingly included a focus on service through caring for our environment. We realize that water, soil, energy, and air—all of the elements that sustain all life on our beautiful blue planet—are fundamentally linked with both the causes and effects of the world’s greatest challenges. In fact, the state of the environment impacts every one of Rotary’s 6 Areas of Focus. 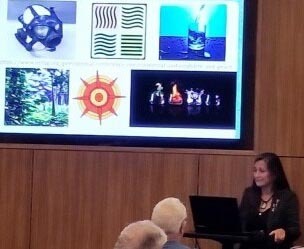 Last year President Ian Riseley reminded Rotarians that “Improving environmental conditions is a fundamental component of fostering peace within community.” He convened the 2018 Vancouver Presidential Peacebuilding Conference on Environmental Sustainability. Six District 5495 Rotarians attended that conference as our ambassadors. They returned with ideas, resources, and a commitment to share their learnings. Determined to educate, inform, and inspire everyday Rotarians to take action, they created an initiative called “The Responsible Rotarian.” They developed thought-provoking presentations built around 9 Areas of Impact and have made them available to clubs. You and your club can connect to Responsible Rotarian Resources by contacting Cindy Hauserman at cindy@egismail.com. 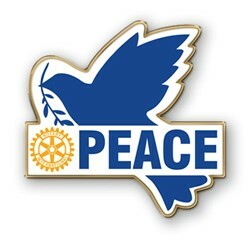 Cindy is currently working on adding Responsible Rotarian Resources to our District Website and is teaming to develop a cadre of speakers available to visit clubs. David Suzuki’s keynote at the Vancouver Presidential Peacebuilding Conference on Environmental Sustainability "https://player.vimeo.com/video/258454626"